Outlined below are all of the services Insight Observatory provides in the field of Astronomy Education and Public Outreach. Astronomical Telescopes for Educational Outreach ATEO-1 and ATEO-2A and ATEO-2B. 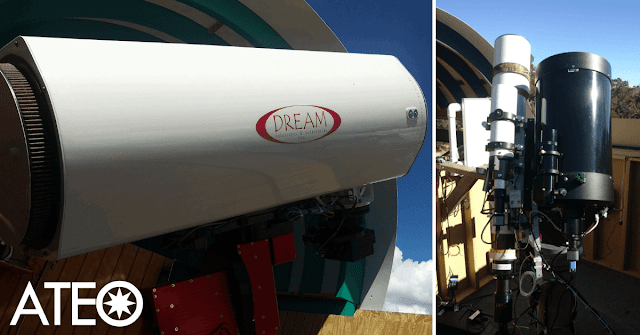 The Astronomical Telescopes for Educational Outreach (ATEO) - Insight Observatory offers a 16" f/3.5 Astrograph reflector (ATEO-1), a 5" f/7 Williams Optics refractor (ATEO-2A), and a Celestron 11 f/10 Schmidt-Cassegrain (ATEO-2B) imaging telescope that is available for hourly, or nightly rentals. Image planets and deep-sky objects, such as galaxies, star clusters, and nebulae remotely, from the dark skies and high elevation of 7,800 feet in New Mexico, using your personal computer via our ATEO Portal. If you would like an idea of the image quality the ATEO remote telescopes provide, you may request an image of your choice be taken via Insight Observatory's Public Image Request (PIR) form? Planning and Facilitating Research Projects in the field of Astronomy - Providing the tools necessary for astronomy education, and, discovery and research, utilizing Remote Robotic Telescopes. Work with Insight Observatory to design custom classroom astronomy lessons that coincide with your teaching curriculum. For School Teachers (K-12), Insight Observatory offers an Educational Image Request (EIR) form to access images on the ATEO telescope network for the classroom environment. 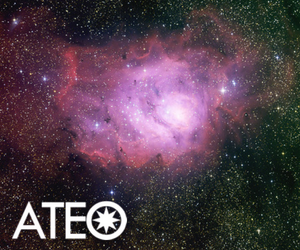 Are you a Professor or Student participating in an astronomy education research project? Insight Observatory is currently offering special Educational Rates, to universities and colleges, as well as Public Charter and private schools. As mentioned above, on this page, Insight Observatory can assist with the planning and the facilitating of research projects, with the use of these remote online telescopes. Starbase - Insight Observatory will soon be offering subscriptions to datasets of deep-sky imaging data acquired from the 16" f/3.5 Astrograph reflector (ATEO-1) and the 5" f/7 Williams Optics refractor (ATEO-2A) remote telescopes. Access to the Starbase will available via the ATEO Portal. Visual Observing Programs - Insight Observatory offers customized observing programs for schools, colleges, Girl and Boy Scout troops - of all levels, as well as the general public. These programs are held at Kohout-Dingley Observatory in Kingston, MA, which houses an 11" Schmidt-Cassegrain telescope. Blake Planetarium - Insight Observatory is proud to be partnered with the W. Russell Blake Planetarium located in Plymouth, MA. This planetarium is a state of the art facility that immerses its audience with video and sound. Boasted as the only 4K full-dome planetarium south of Boston, its system is equal to that of facilities you would experience in Boston. Seating 72 people this facility has frequent Community Programs. Private group events such as Girl and Boy Scout troops are also offered upon request by contacting us. General Consulting - Looking for the proper astronomy equipment for your educational institution or private use? The staff at Insight Observatory have more than 60 years of experience in the field of astronomy between them, that includes, extensive knowledge of different types of telescopes, imaging devices, and their accessories, that would suit the needs for your particular astronomy program. For more questions and information regarding Insight Observatory's services, please contact us at our Contact form or email us directly at info@insightobservatory.com and we will be sure to get back to you within 24 business hours.